Cville TimeBank – We all have things to offer. We all have things we need. 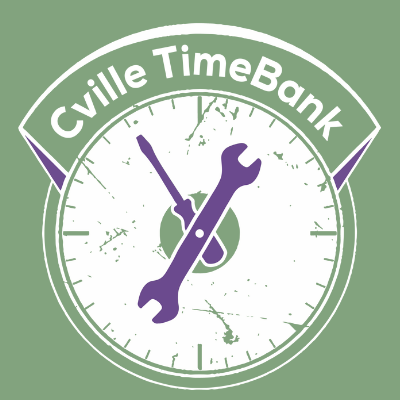 We’re glad you found the Cville TimeBank! The Cville TimeBank is always welcoming new members – want to be a part of it? Jump over to our membership page for the next step. Curious how it works? We’ve posted lots of information on our About Us pages. Wondering if you need to live in C’ville to be a member? I live in Culpeper, and come to C’ville often. Thanks for the info! Our members live in Charlottesville and the immediate area – it’s difficult for members who live further away to provide services closer to town, but it’s also difficult for those same members to build relationships and receive services themselves. We would be happy to help anyone start a timebank closer to their home – proximity to other members is key to building a strong community network. Hello to all, I am a member of the Time Bank in Media, PA I will be moving to the Richmond area. Which time bank is closest to Richmond? I’d love to sign up, but is it still the same yearly fee even though the year is almost half over? Hi Darla! Our fee is pro-rated quarterly, so if you joined now, your 2014 membership fee would be $18. I am interested in establishing time bank account. I have a variety of things to offer. How to start? I live in Shadwell, close to MJH. I would love to talk to your team about outreach. I part of a group that is forming a TimeBank neighboorhood in Vashon, WA. I have been using the TimeBank USA site as a resource. I would make such a huge difference for me to talk to other outreach teams about the work that they have done to grow their TimeBank communities and keep their TimeBanks vibrant. Hi Diane — I just sent you a note. Yes ~ let’s connect!